US Billionaire and entrepreneur, Robert Bigelow, who has been working with NASA to create a new expandable spacecraft, has claimed Aliens are secretly living one earth and it’s being covered up by the space agency. The CEO of Bigelow Aerospace appeared in the latest edition of prime time CBS current affairs show 60 Minutes which looked into his work developing the new NASA craft. In the program, Bigelow made the jaw-dropping admission, also describing a UFO encounter his grandparents had while driving on a Canyon in Las Vegas. Bigelow said: “It really sped up and came right into their face and filled up the entire windshield of the car. The Express reports: He told reporter Lara Logan it began an obsession with aliens and is the reason behind his “alien logo” for Bigelow Aerospace. He said he had since had his own “close encounters”, but did not go into details. The business guru also revealed being a subscriber to a widely held conspiracy theory that the US Government, and others across the globe, know that aliens are here on Earth, and even interact with them, but it is all kept top secret from the public amid fears over the impact it would have on religion and the rule of law. Ms Logan described it as “the kind of conversation you don’t ordinarily have with an accomplished CEO”. She asked him if he believed in aliens? He said: “I’m absolutely convinced. That’s all there is to it. “There has been and is an existing presence, an ET presence. Ms Logan asked: “Is it risky for you to say in public that you believe in UFOs and aliens? “But, he replied: “I don’t give a damn. I don’t care. “It’s not going to make a difference. It’s not going to change the reality of what I know. “She said: “Do you imagine that in our space travels we will encounter other forms of intelligent life? “Mr Bigelow addded: “You don’t have to go anywhere. The Federal Aviation Administration (FAA) confirmed to CBS that for several years, it had referred reports of UFOs and other unexplained phenomena to a company Bigelow owns. In an effort to attract more tourism as well as extra-terrestrials, the town of St Paul, Alberta created the worlds first UFO landing site. Edgar Mitchell, the sixth person to walk on the moon, claims that “aliens have contacted humans several times”. Astronomer Frank Drake made the first scientific attempt to contact alien beings in 1960. Stephen Bassett is the executive director of the Paradigm Research Group, which is campaigning for the US Government to life an alleged “truth embargo” about the existence of aliens. 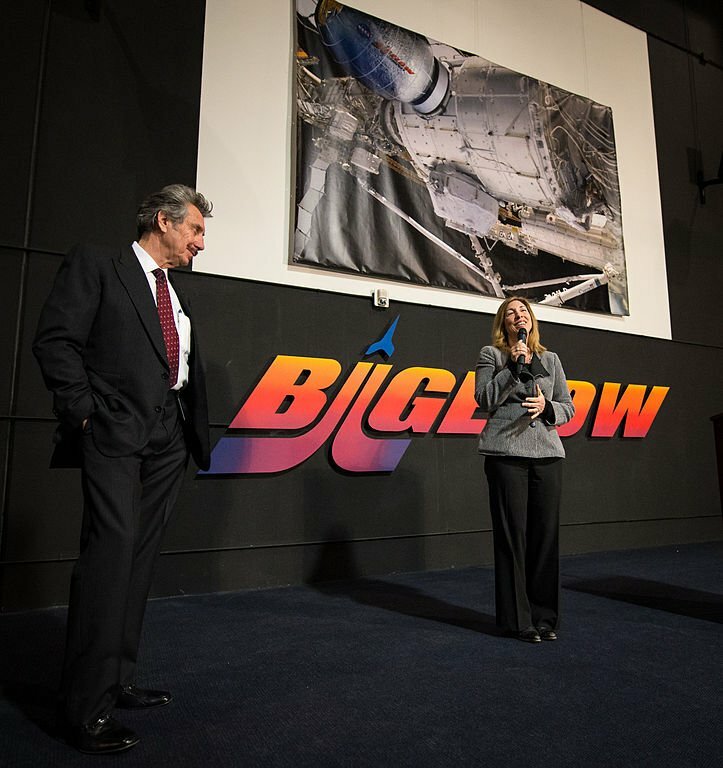 He said: “Billionaire Robert Bigelow of Bigelow Aerospace spoke truth to power and finally said publicly what he and hundreds of millions of people around the world already know to be true. “And he said it on CBS 60 Minutes Sunday night. There is an extraterrestrial presence engaging the human race.